1. How long has Hell on Wheels been around now? We have been open for just over 5 years now. How exciting! 2. 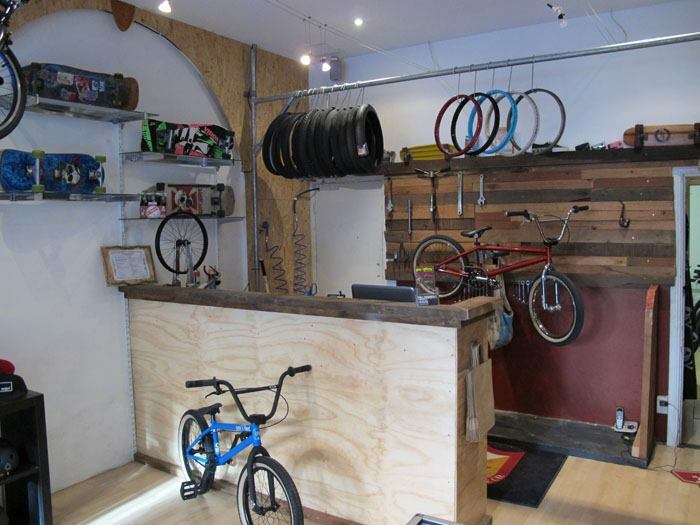 Did you have any prior involvement in bikeshops? Yeah even in school i knew I wanted to work in a bike shop, I was always the one who ended up fixing everyones bike when we were young so I knew what I wanted to do early on haha. But yeah I did a few years full time as a mechanic in an eastern suburban Sydney shop. 3. What prompted you to start the shop? It was more of us as a group getting together with a similar idea.Believe it or not servicing roadbikes and filthy commuters bikes was getting a little old, so the prospect of selling and fixing the bikes that I actually cared about was an exciting one. 4. Was there a particular objective you set out to achieve when the shop opened? Not really one objective in particular, we just wanted a shop that was a nice place to go. Also to be the best we could be and to service the greater inner city BMX communities needs i guess. 5. Did you come across many hurdles with the opening and subsequent running of the store? 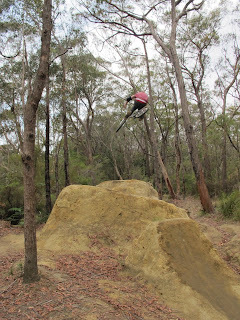 There was always going to be hurdles but the ones that stood out early on were what I like to call "BMX industry politics", plus trying to get the DA approved by council was a boring little ordeall. As for continual dramas and more recent things, there was business partners leaving and having to apply for more bank loans to solve those issues. The constant barrage of generic Newtown whack jobs I have to put up with daily is always interesting but it stresses me out big time haha. The biggest hurdle at the minute is just trying to manage the shop on my lonesome, its more of a personal thing where I struggle to manage my time between fixing and building bikes as well as run the website and online store, then there is the general retail stuff like ordering, entering stock, all the emails and phone calls and speaking to local lunatics who are on all the drugs in the universe as well as being the master of the broom and mop and windex. I am getting much more efficient these days though. 6. Haha, sounds like a handful indeed. How has the shop impacted your riding and personal life? In the early days it didnt really affect my lifestyle too much as I was used to working in bike shops on weekends. So the amount of riding i was doing was about the same as before we opened. In a way i think being in the shop has actually kept my interest and passion for riding alive, being aroung good bikes, good people and just being a part of the whole BMX vibe has been amazing. Had I stayed on as a generic bike maechanic working weekends at the generic bike shop and not having contact with other riders or the BMX industry I probably would have eventually lost interest. 7. Do you have an official team? If so, who? We do have an official team but I have been a bit slack on actually getting the team page up on the website. At the minute we have Xave Koen, Alex Liiv, Dave C, Trent Rowsell, Lee Cruickshank, Paul Chamberlain, Josh Druce, John Young, Dan Baker, Myself, Matt Holmes and Mike Daly. 8. Where do you see the shop in five years time? In five years I hope to still be doing what we are doing and enjoying being around bikes all day and being involved in Sydneys BMX community in as many ways possible. Staying stoked is the dream, yet a larger shop with a bowl is the fantasy! 9. A shop bowl would be incredible! Care to share a quirky story or request? Haha I did have a group of kids reffering to handlebars as a steering wheel! The thank you list is verging on endless. A massive thanks to Mike and Matt for being great business partners, with out them this whole shebang would have never left the fantasy/ idea phase. Matt has also been amazing help keeping me company and lending a hand on Saturdays in the store......Legend. My bride to be, Celeste for being so damn cool and sticking with me all these years. John Young and Dave Sea for being themselves and keeping me stoked, Xave, Alex and the rest of the team, the Bullmix posse, Mark Noble at Deluxe, Toby & Jamie at Stowaway, Chris & Scott at Triple six, Gazza at Elite, Daly at Kickass- these dudes help the shop out a lot and are helping keep BMX in the hands of riders. My parents also deserve a big mention for allowing me to ever get into riding in the first place and for driving me to races and skateparks and for being extremely supportive. Thanks to any one who has ever bought anything from the store, or supported us in any way. get on! 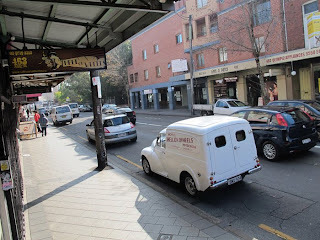 You can check out the Hell on Wheels at 463 King Street, Newtown in Sydney, or online at http://hellonwheels.com.au. Support rider owned bike shops!